How do I get my horse to stretch his neck out in the hack division? 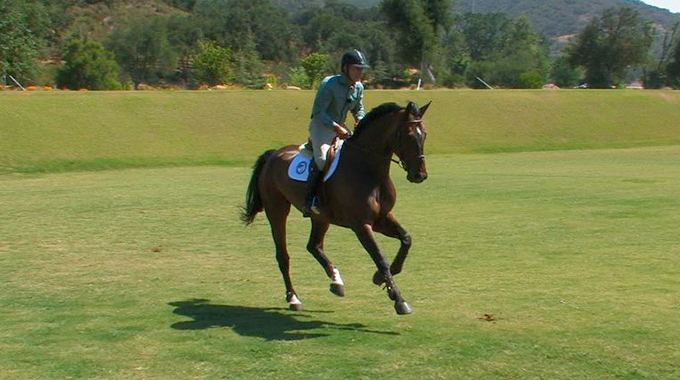 To teach a horse to stretch in a hunter frame, they need to learn to go long and low. 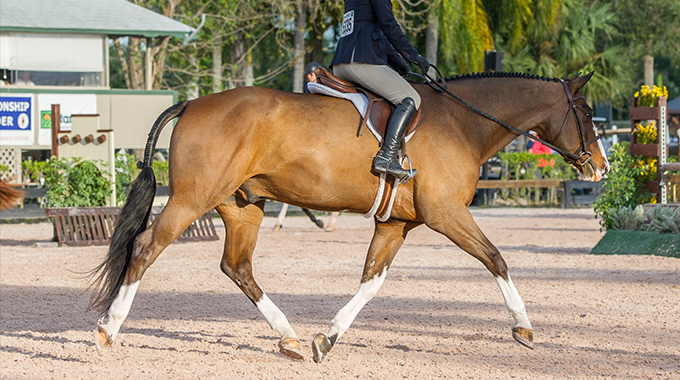 This is accomplished by working at a trot and practicing taking a feel of the inside rein as you sink into the saddle (downward position of the post) and simultaneously closing your inside leg. As you rise, relax the pressure of both rein and leg. This repeated action encourages the horse to seek contact and stretch his neck down (not in) while continuing the have good engagement behind. 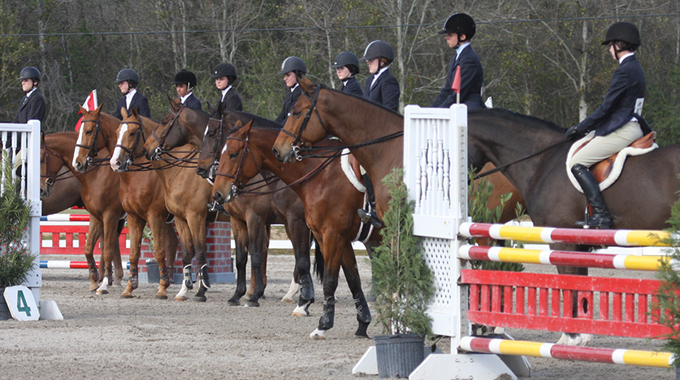 John French shows us what the judges are looking for in a Hunter Under Saddle class and how you can show your horse off properly.